Rigging – All New Products! 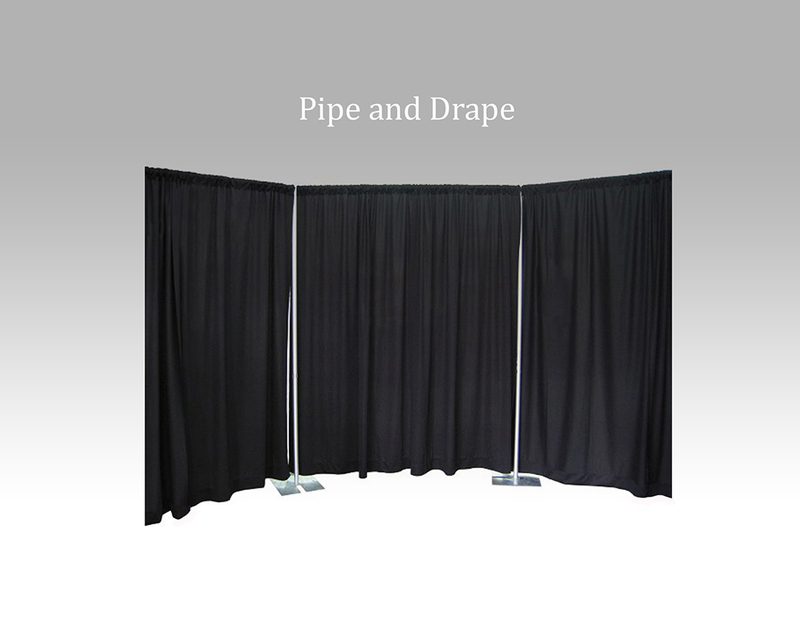 Unpainted muslin backdrops are produced in any custom size, seamed or seamless, and FR or NFR as requested. Several sizes/types are stocked pre-sewn for immediate shipping as well. 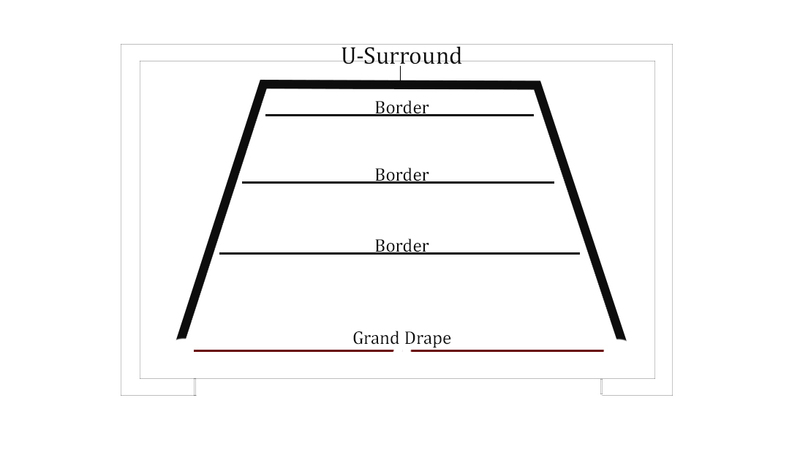 A U-Surround is typically found on very small stages. It is an economical way to provide some masking of the offstage areas and give a more pleasant background than the bare walls. 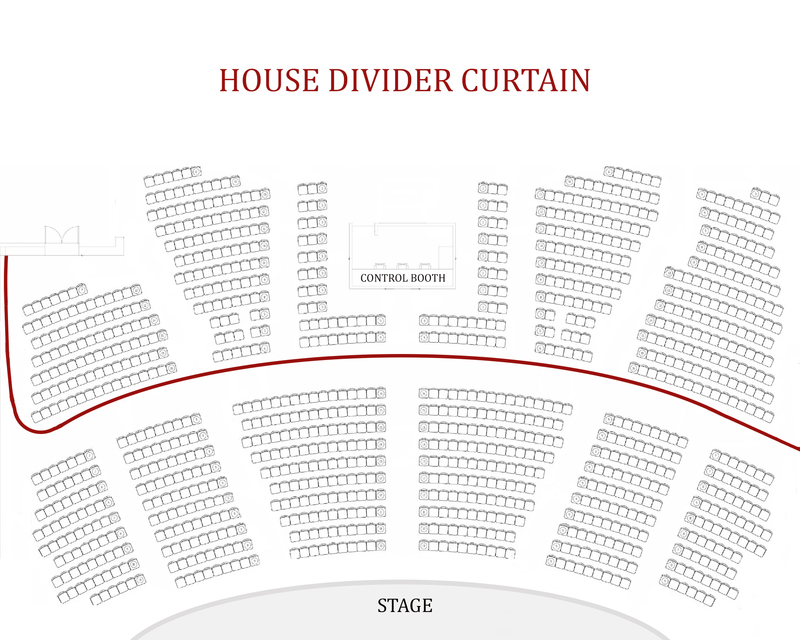 It typically runs at an angle from the offstage sides of the Grand Drape to the upstage corners of the acting area, and straight across the back. A light-duty curved track works best. 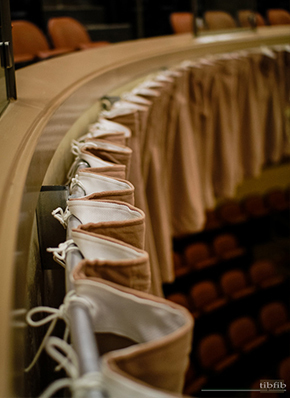 If the curtain is made in multiple small panels rather than 2 or 3 large panels, entry points can be moved into whatever positions are needed. 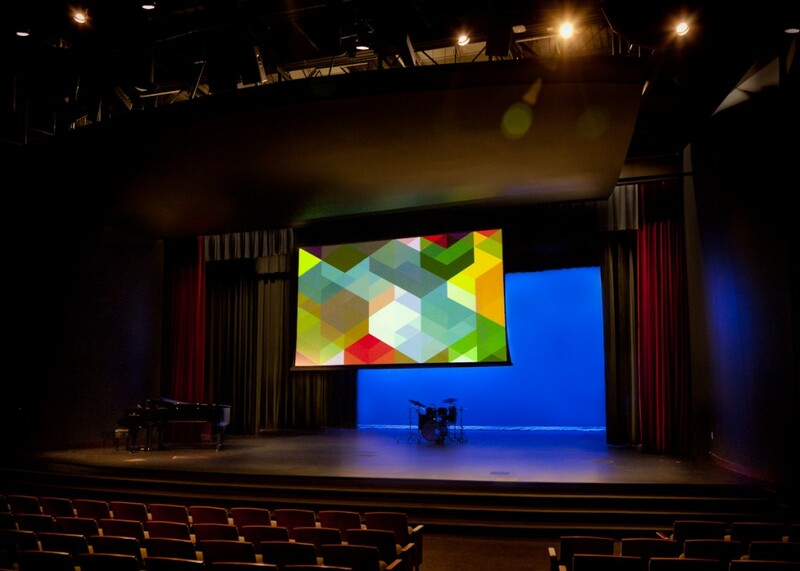 Gym Divider and Room Divider curtains are economical ways to split large rooms up for classes, meetings, or events. Curtains can be lined or double faced so both sides have a finished look. Various vinyl and cloth fabrics are available depending on the specific requirements. 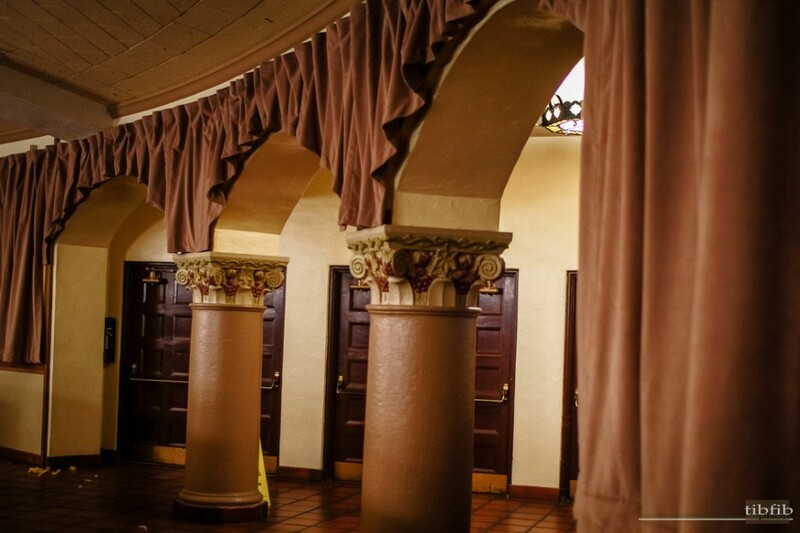 Backstage, beside the court, in the ballroom, or down the hall, curtains to hide stuff can be everywhere. We can make your curtain fit whatever shape and size you need. Velour curtains can dramatically reduce high frequency echo and excessive reverb in a room. Curtains intended primarily for sound absorption need to be as heavy weight velour as possible with 75% – 100% fullness. Adding extra layers through double facing or lining will provide additional sound dampening.The velour will perform better if it is sewn “nap up”, (upside down), because the pile will lay open and stay fluffed out better. This does not look as nice as nap down and tends to capture more dust, but provides better acoustic performance. Sometimes rooms just aren’t nice and square. Whether it’s a valance that needs to follow the peak of a ceiling, a sloping wall curtain, or a Leg that needs a cutout for a misplaced air duct, we can make it fit.